We are One! We love Kirtan. Let’s get together and chant the holy names. We are excited to invite you to join our first Kirtan Get Together here in delightful Viewridge, Topanga! We will be cozy together in this private home setting, with all the elements for a nice Kirtan ~ sound, musicians, and of course, you! 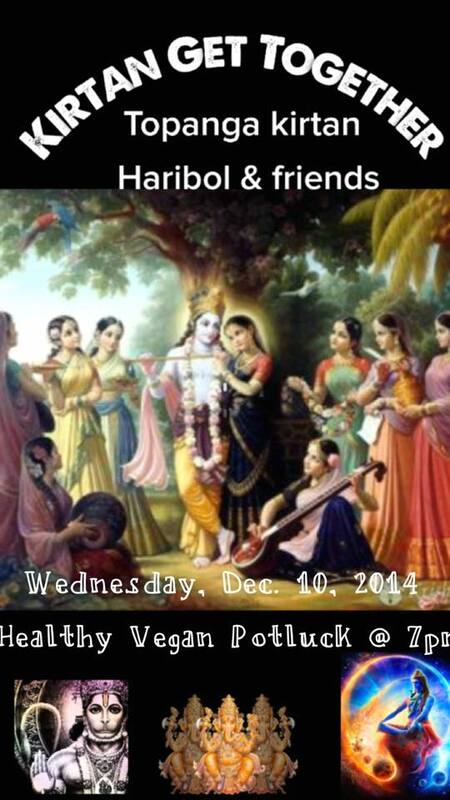 If you’d like to lead a chant, come see Haribol. Thank you for your beautiful presence! Bring your cushions & blankets to make a comfy spot for yourself & friends, since the floors are travertine stone. The location is very accessible (right off Topanga Canyon Blvd.) & there’s plenty of parking.